a mechanism for recirculating the sludge to the reactor. 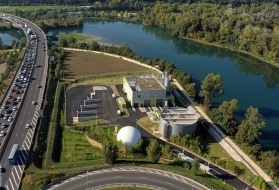 In most instances, the activated sludge process is combined with physical or chemical processes used in the pre-treatment and primary treatment of wastewater, and often in a post-treatment stage comprising disinfection and, if necessary, filtration. Parameters applicable to activated sludge were discussed in suspended growth (activated sludge) process. Table 1 summarises biological reactor classification according to loading and performance.